Despite news that the EU could be willing to offer a UK-wide customs arrangement in order to help Brexit negotiations to advance, the Pound Sterling to Euro (GBP/EUR) exchange rate has remained weak on general Brexit uncertainties. Still, despite this GBP/EUR has avoided further losses too and continues to hold its ground above Monday’s low of 1.1293. This morning, GBP/EUR trends near the level of 1.1325. Its losses have been limited by the latest Euro (EUR) weakness. Investors are anxious about tensions between the Italy and EU regarding the issue of Italy’s budget plan, as Italy has indicated it does not intend to change its plan. On top of this, Wednesday’s Eurozone PMI projections from Markit fell short of expectations in many key prints and left the shared currency unappealing. On Tuesday, the Pound (GBP) briefly saw a boost in demand following a report claiming that the EU was preparing a UK customs union offer in the hopes of a resolving a deadlock regarding the issue of Ireland’s border. 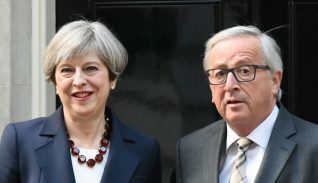 The EU will allegedly offer a UK-wide customs union plan, which would be negotiated separately to the UK-EU withdrawal agreement. However, the excitement surrounding the possible offer was brief as investors acknowledged the domestic obstacles such a deal may face. UK Prime Minister Theresa May has seen significant objection from within her own Conservative Party about the possibility of Britain remaining in an EU customs union, or about the possibility of a ‘backstop’ plan for Ireland’s border. The Euro’s (EUR) support has been mixed in recent sessions, as political uncertainties in Italy persist and the bloc’s latest ecostats fall short of expectations. On Tuesday, the EU officially rejected Italy’s controversial budget plan and gave the Italian government three weeks to rework the plan into something more acceptable to EU guidelines. It is the first time the EU has rejected a budget plan. 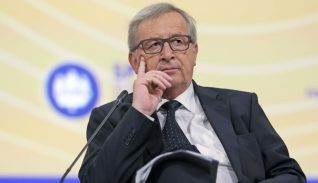 However, Italy has said there is no ‘plan B’ on the budget plan, indicating that the nation would stick to its plan rather than follow the EU’s request. This has weighed heavily on the Euro, with investors concerned that tensions could still worsen or that Italy may be given sanctions if things do not improve. Wednesday’s Eurozone data weighed on the shared currency too. Markit’s October PMI projections for Germany, France and the overall Eurozone fell short of forecasts in most notable prints. Germany’s manufacturing PMI is projected to come in at 52.3 in October rather than the previously predicted 53.4. The Eurozone’s projections all fell short of forecasts, with the composite projection coming in at 52.7 rather than 53.9. The news worsened concerns that the Eurozone’s economic outlook wasn’t as strong as hoped amid US trade war fears and Italian political jitters. This has also worsened concerns that the European Central Bank (ECB) could be pressured to take a more dovish tone in its upcoming policy decision. Despite fears of a ‘no-deal Brexit’ still weighing heavily on the Pound, the Pound to Euro (GBP/EUR) exchange rate could still end the week higher if Eurozone news continues to disappoint investors in the coming sessions. Thursday will see the European Central Bank (ECB) hold its October monetary policy decision, and investors are anxious that the bank will take a more dovish than expected tone regarding its policy outlook. The ECB is still expected to withdraw its aggressive quantitative easing (QE) scheme before the end of the year, but if the bank’s plans are delayed or if the bank takes a more dovish tone about the withdrawal the Euro could plunge. Much of the Euro’s strength this year has been amid the expectation of normalising monetary policy in the Eurozone, so a more dovish stance could significantly weaken the shared currency. Germany’s latest business confidence stats from Ifo, and GfK consumer confidence figures, will also be published on Thursday. As there will not be any notable UK ecostats published for the remainder of this week, the Pound to Euro (GBP/EUR) exchange rate is more likely to be driven by Eurozone news unless there is a surprising and notable Brexit development.